Yet another snake, at D&M, just like the other lease guys I've talked to. I asked four or five times for the guy to email us the figures on a lease that he swore was the absolute best deal. After trying (failing) to go around me, and *** my husband, he finally sent a half-*** email admitting he couldn't get the car for less than about $100 MORE than I could get it for myself. They use a roll-your-own credit scoring, to come up with a score that in our case was FORTY POINTS LOWER than Equifax, Experian and Transunion. Not even close to our actual FICO, just so he could try to tell us we don't qualify for the right lease. I knew he was lying from the beginning about paying off my lease. I talked to my leasing financier and she told me he never even called for a pay-off. Total waste of my time. All those happy people posting glowing reviews on you-know-who websites probably have no clue what their real scores are, or what kind of deal they could have gotten on their own if they had the time to research and do the deals themselves. With all the information at hand on the internet now, there's no excuse for not knowing your actual credit score. This is the second time I've been lead on a merry chase that ended with a b.s. credit score from the would-be leasing guy. Do it yourselves! Do your homework! Run from these sleazy middle-men who probably do well to make $40k a year! Review #386777 is a subjective opinion of RippedOffAndTattling. It turns out that the low score they derived still qualifies for tier one pricing. However,I have been unable to get four simple numbers from this company after repeated requests. I asked for the lease amount, number of months, residual amount, and any and all upfront money. He called my husband at work and said it was too complicated to put in an email! How can I compare leases amongst dealwrs if D&M won't tell me what their offer entails? 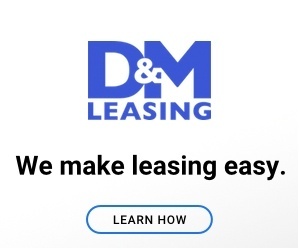 If you want someone to do all the work for you, and get you a lease that's possibly better than you'd get if you don't have the time, tenacity, and willingness to haggle with dealerships, then I would recommend D&M,particularly Mike Odeh, who will get the job done, going above and beyond. But keep in mind that it's a finance company. They have to make money off the deals or they couldn't stay in business. The one "number" I finally eeked out of them was "upper 400's" to lease the car I want. I can buy it at 3? for about $45 a month more than that! The dealership is offering $369 lease, with unknown amount added in once you sit down with them. Unfortunately I can't comparison shop bc they won't email or document their offer.